The GoPro mounting system is best used when mounting things at a 90 degree angle. Their system locks together and provides a rock solid stable platform, but it only is adjustable forwards and backwards on a single axis. Rotating their standard mount side to side is just not possible. That’s fine for most situations, but when you’re mounting things slightly off center it takes more mounts to provide enough axes of rotation to get the angle correct. Additional mounts means additional joints, which increases the likelihood that your camera will experience some shaking or other instability when in an bumpy environment. Like an airplane. So, what I really needed was a compact mount section that allowed me to rotate the camera enough to have a good view of the cockpit. 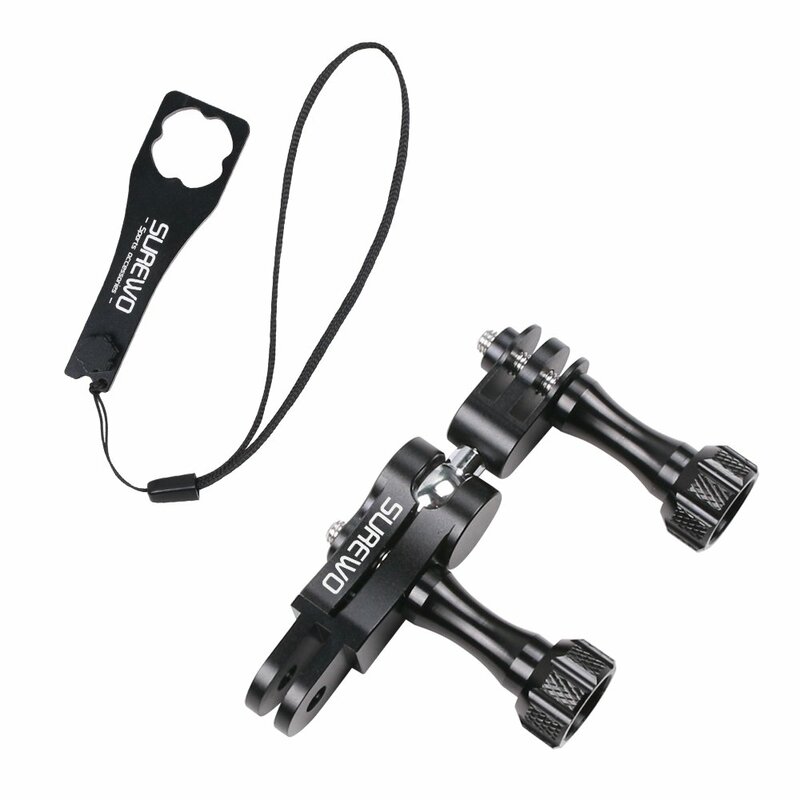 That’s when I found this mount by SUREWO for literally $14 that solved all my issues. 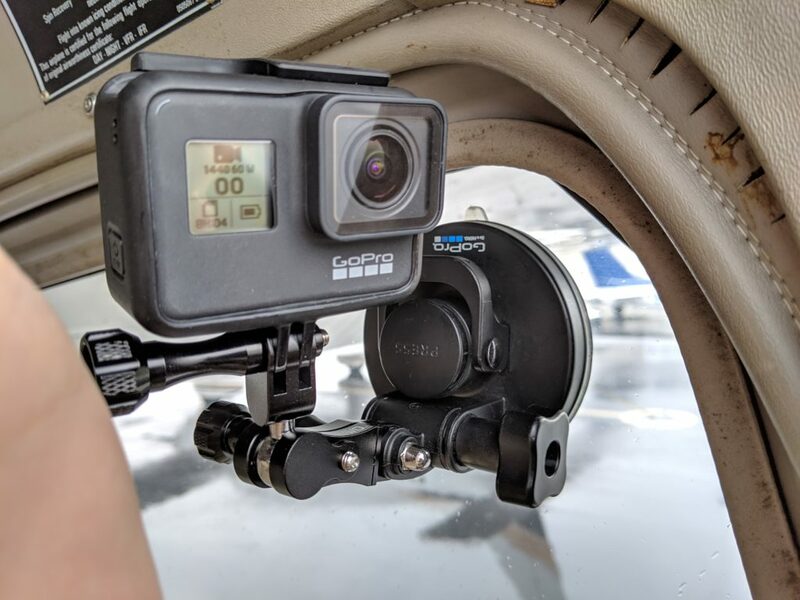 The mount is designed to be a ball and socket joint with GoPro compatible ends, allowing you to easily attach it to all of your existing mounting options. The ball is locked in place by the friction exerted by a knob attached to the longer section of the mount. Installation is easy as pie — the GoPro compatible ends slot easily into your existing mounts. The mount itself feels well made, and the finish is smooth and polished. It’s a good looking piece of kit. Included in the package is a wrench, the purpose of which shall soon become obvious. 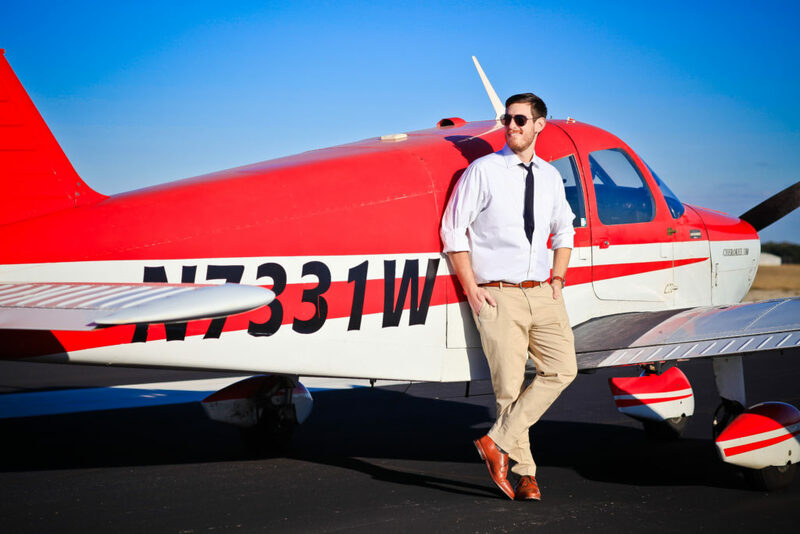 I usually prefer an “over the shoulder” mount with my cameras in the cockpit. It gives a good forward view out the window and also a pretty good view of the instrument panel. 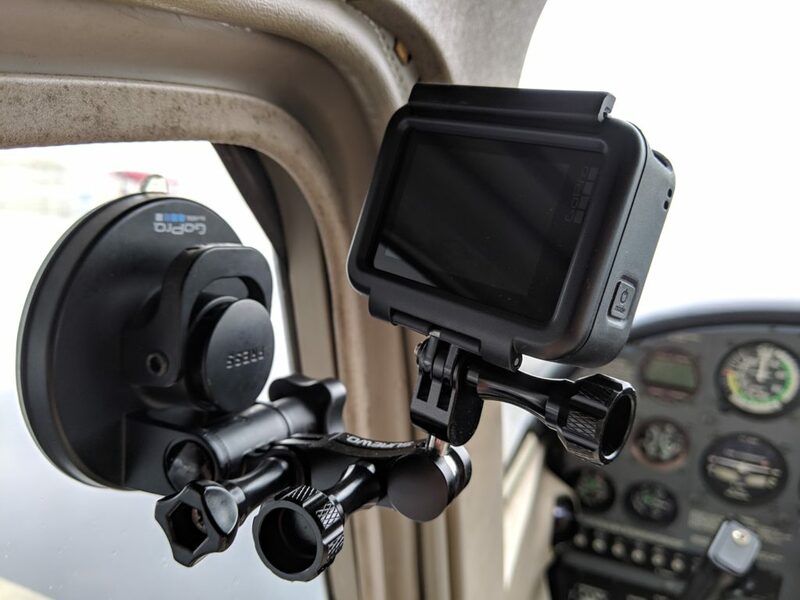 In almost any aircraft there’s a window positioned appropriately to provide a good mounting option for a suction cup mount. As you can see from the shaking in the video above this isn’t always the most stable location and can induce a lot of vibration in the camera. With the ball and socket mount you can finger tighten the knobs and get a “good enough” stable mount, but for situations like vehicles it isn’t going to cut the mustard. You can still turn the camera with just your fingertips. That’s where the wrench comes in, a tool that allows you to crank down the knobs and get it really really tight. With another quarter turn of the knob that camera isn’t going anywhere. It works, and it works great. I can position the camera at any angle I want, and with the included wrench I can make sure that it isn’t going anywhere. I would prefer if the wrench weren’t necessary but since it’s included in the price I’m not complaining that much. If you’re looking for a way to more easily position your GoPro cameras in a cockpit or anywhere else. It’s well worth the price. It works, and at a price that doesn’t break the bank. I’m a fan.